Please check here often for updates about special events happening on the Mountain, and come explore Burnsville! 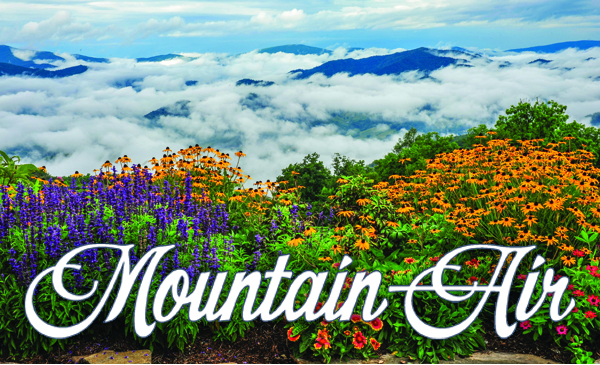 The Mountain Air 2018 Club Calendar is available by clicking here. See all the great activities and events being offered this year! For a current Calendar of Events in Yancey County, click here. The traditional refrain here at Mountain Air is that “you can do as much or as little as you want.” And the proof of that is in a year-round community and club calendar packed with events, activities and opportunities for adults and kids that range from hiking to canasta to pickleball to sporting clays to mountaintop golf. There are holiday celebrations enjoyed by families and friends, including a July 4th extravaganza complete with a custom fireworks show on the runway, and special happenings and entertainment throughout the year. For those who revel in good food and drink, the chef and his team keep everyone well fed and happy on a daily basis, but also with themed dinners, wine tastings and friendly socials. And you can work off extra calories and enhance your fitness under the care of trainers, tennis and golf pros. For golfers who like to sharpen their skills year-round, the club’s Lost Chimneys Learning Center features a state-of-the-art simulator along with heated and cooled hitting bays. Nature surrounds you at Mountain Air, and our Outdoor Discovery Center and its staff help residents experience and appreciate the natural splendor. Under the direction of a full-time naturalist, a wide-ranging series of programs entice children and adults. The staff also organizes and leads outings for almost every other type of outdoor adventure. Of course, you can always just kick back and relax, sit on your porch and let the natural beauty wash over you. You’ll find further proof there’s never a dull moment at Mountain Air when you visit our community and club Facebook page. It’s a great place to witness daily life in this special place, and learn more about our community, the club and our residents. Membership is not mandatory at Mountain Air’s private club, but it does open the door to a wonderful range of amenities. And there now are two new membership options – national and off-mountain – that offer additional ways to enjoy the benefits and enjoyment found here. Marley Knowles, the club’s membership director, will be delighted to tell you more. Pilots love the beauty of the approach and the convenience of landing on our mountaintop runway that just happens to be the highest one east of the Mississippi at 4,600 feet above sea level. Members of the Mountain Air Pilots Association will be on site at the annual SUN ‘n FUN International Fly-In & Expo in Lakeland, Florida to share their insights on life in our fly-in community. You’ll find them in Booth A-028/029 from April 2-7. Spring is almost here, and that’s the perfect time to visit Mountain Air to discover what makes this a special and unique place. Once you see the views and meet other residents, you’ll quickly appreciate the joys of gracious living in an unparalleled natural setting. Imagine escaping the summer heat in one of the delightful homes or condominiums ideally situated amid the natural beauty of Mountain Air. Or select a homesite on which you can create your dream mountain getaway. There’s something for everyone here on the Mountain. If you want to be up high, but close to everything, then Mountain Air is the place. For over 25 years, our unique private community has epitomized gracious mountain living amid unparalleled natural beauty at 4,600 feet. Select from beautiful homes and condominiums, and enjoy club amenities that include mountaintop golf, tennis, outdoor recreation, wellness programs, farm-to-table dining and, of course, a private runway that’s the highest east of the Mississippi. 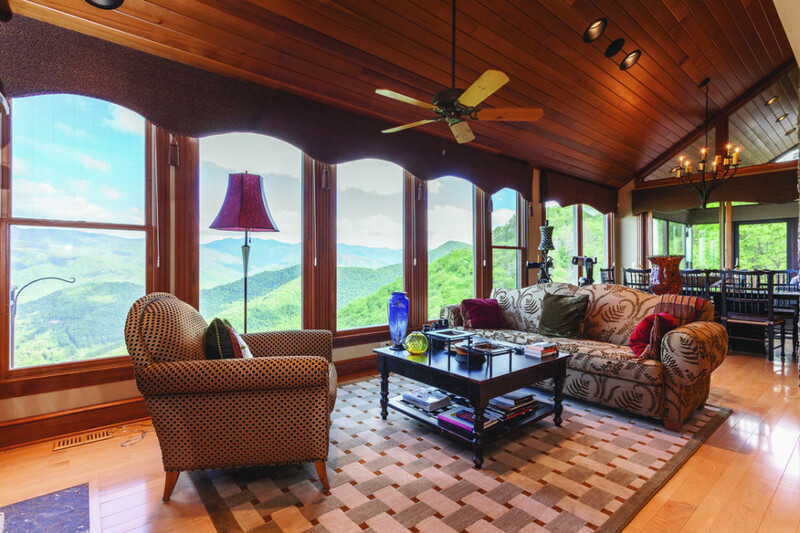 Plus, true long-range views, four distinct and moderate seasons, and plenty to do around the area, including just an easy 30-minute drive to eclectic Asheville. Yes, it’s winter now, but a long, hot summer is coming, which makes this the perfect time to find a mountain getaway where you can escape the heat and enjoy a gracious lifestyle. And Mountain Air is the ideal place. At 4,600 feet above sea level, you’ll enjoy an average temperature in July of 72 degrees, with low humidity and cool breezes. Just imagine golf on our mountaintop course, challenging your friends to a brisk pickleball match, lazing by the heated pool, taking a family hike along six miles of trails, or just sitting on your porch and watching the sun set over an incredible vista. If you’re a pilot, you can land on the highest private runway east of the Mississippi and start having fun in minutes. In fact, you might be interested in our new national membership that makes it easy to take advantage of everything Mountain Air has to offer. So don’t wait until the heat and humidity hit, but learn more now about everything this special and unique private community has to offer. 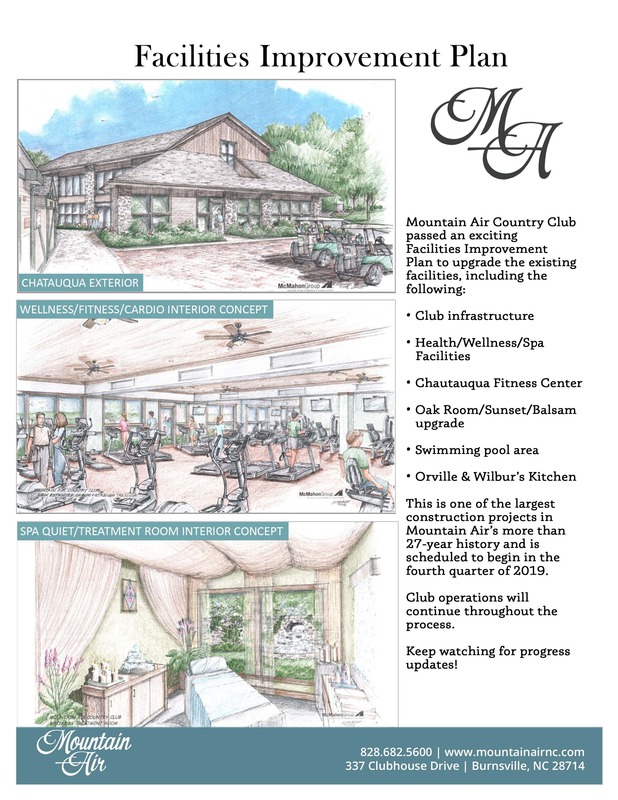 Every possible step is taken here at Mountain Air to offer the amenities, activities and services that contribute to a relaxing, pleasant lifestyle. A popular recent addition is high-speed Internet service that makes work and play a pleasure everywhere on the Mountain. We know the ability to work and maintain contact is important to many of our residents, and our Skyrunner service provides the performance and reliability demanded by today’s lifestyles. For the younger set, it provides the desired power for gaming and streaming. At Mountain Air, it’s all about making every day a pleasure. The only way to truly understand what has attracted people to Mountain Air over more than 25 years is to visit. Once you see the views and meet other residents, you’ll quickly appreciate what makes this a special community that offers gracious living in an unparalleled natural setting. Think about how nice it would be to sit and work (thanks to high-speed Internet service) with a glorious mountain vista laid out in front of you, or gather with family and friends for drinks and dinner in Orville & Wilbur’s, our open-air bar and grill. It’s easy once you choose one of the delightful homes or condominiums ideally situated amid the natural beauty of Mountain Air. Or select a home site on which you can create your dream mountain getaway. There’s something for everyone here on the Mountain. Copyright © 2019 • Mountain Air, All rights reserved. * Menus subject to change based on availability. Thanksgiving is a special celebration every year at Mountain Air, with plenty of turkey and trimmings amid family gatherings and football. 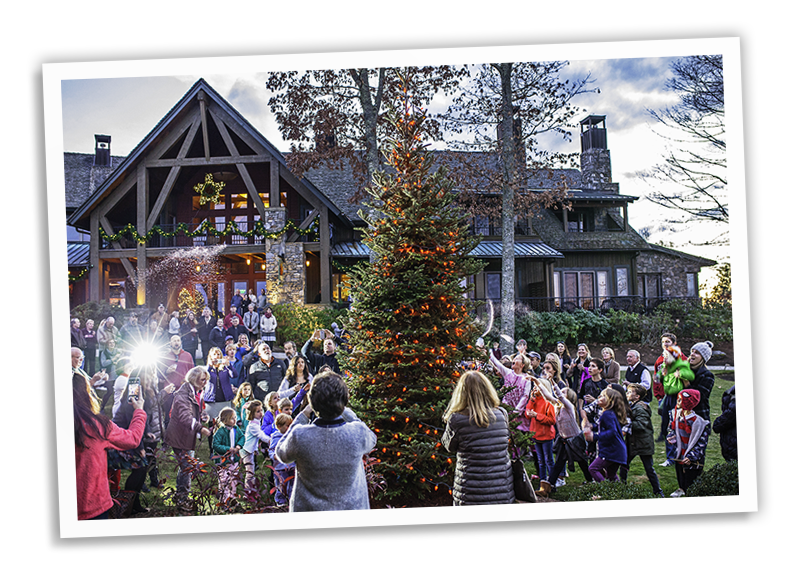 But then every holiday brings friends and families together here, from a New Year’s blast to the Christmas extravaganza that includes a visit from Santa. One of the biggest events of the year comes on July 4 with a gigantic party on the runway that draws hundreds to dine and dance, capped by a custom fireworks show that illuminates the night sky over the community. 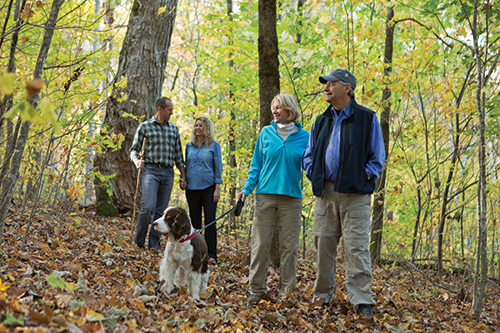 Of course, there are golf and tennis activities – always enjoyable with an average July temperature of 72 degrees – and it’s a great time to hike the miles of trails and picnic in the six parks. The holidays are just one more thing that make Mountain Air a special and unique place for you, your family and friends. Mountain Air is a community with a heart whose residents answer the call each year to support a number of worthwhile organizations and events around the area. The Mountain Air Community Fund raises money through donations and events, and provides volunteers in an ongoing effort to enhance the local community. Over the past 10 years, the fund has been able to grant well over $500,000 to 41 different non-profit organizations. These donations have provided funding to feed school children, give college scholarships, fill the local food pantry, start high school math and astronomy clubs, assist summer reading and theater programs, fund a therapeutic riding center, provide housing for underprivileged families, supported battered women's shelter and much more. If you want an inside view of what makes Mountain Air unique, check out the new half-hour Golf America syndicated television program that features the community and its amenities. Golf America is shown in 130 markets across the country on networks including Fox Sports. The only way to truly understand what has attracted people to Mountain Air over the last 25 years is to visit. You’ll quickly appreciate what makes this a unique and special community that offers gracious living in an unparalleled setting. You’ll love coming “home for the holidays” to one of the delightful homes or condominiums ideally situated amid the natural beauty of Mountain Air. Or select a homesite on which you can create your dream mountain getaway. There’s something for everyone here on the Mountain. 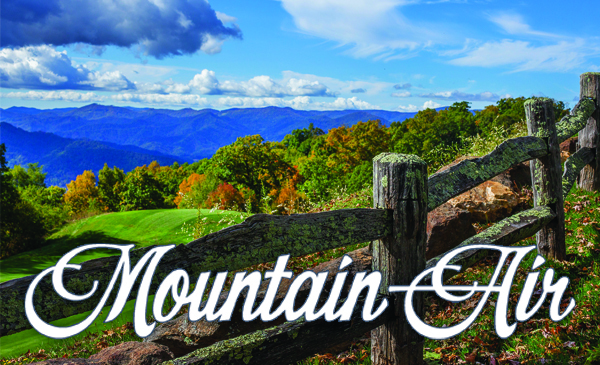 Here's your chance for a "sneak preview" of a brand new 30-minute nationally syndicated television show featuring Mountain Air and its lifestyle. Hosted by award-winning journalist Alan Hunter, the show features a wide-ranging introduction to the community, its golf course and other amenities, and the lifestyle enjoyed here. Golf America is shown in 130 markets across the country containing 85 million households on networks including Fox Sports. 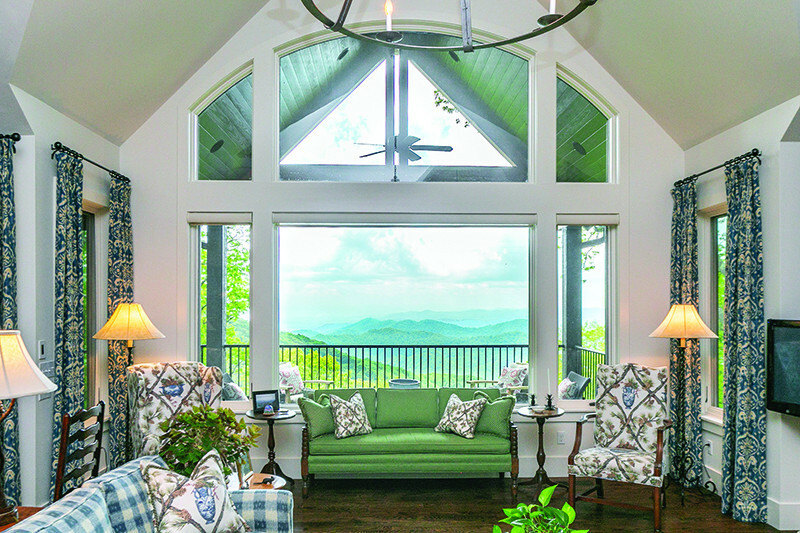 The Golf America team benefited from the efforts and support of the Mountain Air staff, including an on-site stay in Falling Leaf Lodge during production. Special kudos to Chris Parham, Chad Becker, George Henson and Kat Dunham for their on-air appearances and expertise. Also featured in the segment is course designer Scott Pool who happened to be at Mountain Air during filming and offered his insights. And Shannon Peterson and his team had the course in outstanding condition as witnessed by the beautiful footage shot for the program. The Golf America presentation was underwritten by the marketing program supported by the POA, the Club and CBK, and will be an ideal tool to further create awareness and interest. 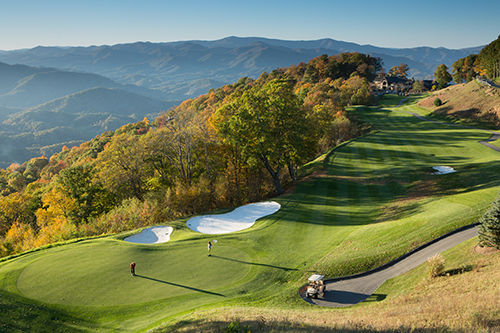 A significant benefit to the marketing and sales efforts will be the ability to use the photos and raw footage shot by Golf America in upcoming Mountain Air presentations. To see the full schedule of upcoming shows, click here. The show will air during the weeks of October 2-8 and October 16-22. A popular saying here at Mountain Air is that you can do as much or as little as you want. There are always plenty of activities, events, classes, group outings and entertainment to keep you busy, and that includes kids, teens and adults (even four-legged friends). Quite frankly, there’s enough going on to fill a book. In fact, it does fill a book. Let’s just say you’ll never be bored at Mountain Air, unless you choose to kick back and relax, gaze out over the mountains. And that’s just fine too. If a picture’s worth a thousand words, then a video speaks volumes. 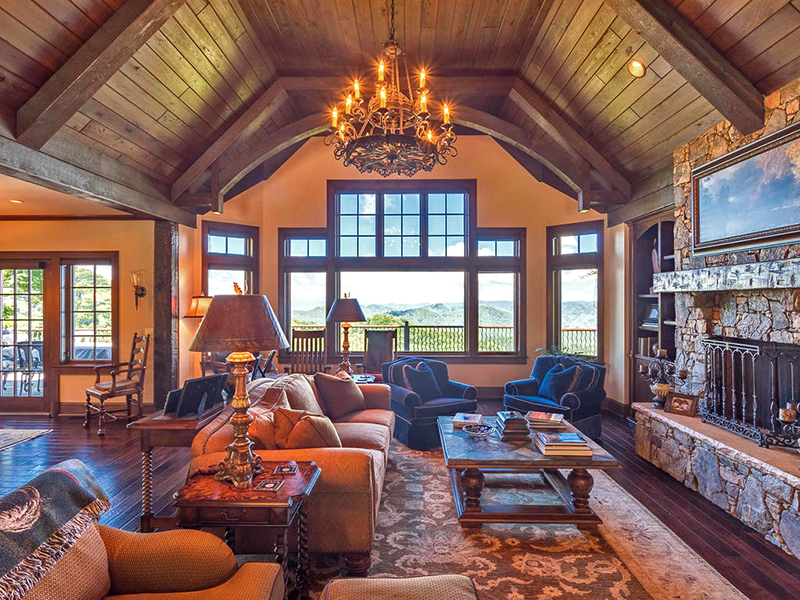 Just click here to see the Mountain Air lifestyle unfold. While you watch, imagine the cool breezes and calming touch of the natural splendor you’ll find here. Maybe you’ve been thinking about a summer escape. Mountain Air is the ideal choice with the average temperature in July a very pleasant 72 degrees – further enhanced by cool breezes and clean air here at 4,600 feet. You may even need a sweater in the evening as you take in a spectacular sunset from your porch. up on all the events in store for this holiday weekend celebration, click here to see what's happening and when! Spring has arrived here at Mountain Air, and very soon the natural beauty will be even more pronounced as everything will be in bloom and the color will be spectacular. Take a hike along one of our trails – there’s over six miles on the Mountain – and be overwhelmed by the luscious blooms on the rhododendron, the majesty of the mountain laurel, and all the other native flora and fauna that are home here. To be honest, there’s no better time to visit, and that’s really the only way to truly appreciate what makes this a special and unique place that has drawn families and friends for more than 25 years. You can check out all the club has to offer, from mountaintop golf to wellness programs to year-round outdoor activities. And also explore the beautiful homes and condominiums awaiting you. Of course, the coming of spring means that heat and humidity arrive as well in many places, and that may have you thinking about a summer escape. Which is why Mountain Air is the ideal choice with the average temperature in July a very pleasant 72 degrees – further enhanced by cool breezes and clean air here at 4,600 feet. You may even need a sweater in the evening as you take in a spectacular sunset from your porch. 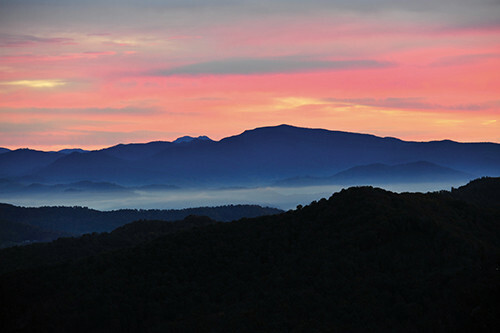 You’ll find just about everything you need to know about Mountain Air on our newly updated website: www.MountainAirNC.com. And we’re always waiting to welcome new neighbors looking for the perfect mountain getaway.